BYRON SCHENKMAN has recorded more than thirty CDs of 17th­ and 18th century repertoire, including recordings on historical instruments from the National Music Museum, Vermillion, and the Museum of Fine Arts, Boston. In 1999 he received the Erwin Bodky Award from the Cambridge Society for Early Music "for outstanding achievement in the field of early music." Schenkman made his New York recital debut on modern piano in 2009 and his playing was described in The New York Times as "sparkling," "elegant," and "insightful." He is a member of the period instrument ensemble Gut Reaction and has been a featured guest with the Chameleon Arts Ensemble of Boston, the Daedalus Quartet, the Northwest Sinfonietta, Pacific Baroque Orchestra, Philharmonia Northwest, and the Portland Baroque Orchestra. He also appears frequently in recital with violinist Ingrid Matthews, with whom he co­founded the Seattle Baroque Orchestra in 1994. In 2013 he launched “Byron Schenkman & Friends,” a new Baroque and Classical chamber music series at Benaroya Hall in Seattle. 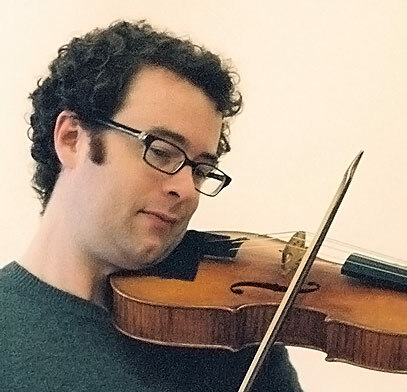 Schenkman is a graduate of the New England Conservatory and received his master's degree with honors in performance from the Indiana University School of Music. He currently teaches at Seattle University and Cornish College of the Arts. In 2012 he also served as guest lecturer in harpsichord and fortepiano at the Indiana University Jacobs School of Music.